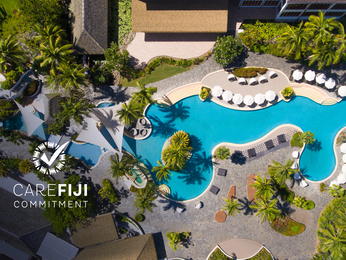 Belonging to the main island of Fiji, Denarau Island is a magical destination. So much so that its translucent waters, sandy beaches and coconut trees seem to have come right out of the most wonderful dream. But Denarau is not a dream, it's real. Isolated in the heart of the Pacific Ocean, it is disconcertingly beautiful. Simply walking along one of its beaches, paddling at the water's edge with the ocean to your right and lush vegetation to your left, is enough to make you believe you are alone in the world. But don't go thinking that this island has nothing to offer besides its natural splendor! Whether you're setting off as a family or a couple, Denarau Island is full of activities for everyone, starting with the most symbolic: water sports. Hoist up the mainsail, sailors! In fact, the island boasts many yacht clubs that provide opportunities to take an excursion on a sailboat or a yacht, around Denarau and Viti Levu. Trips can be taking during the day for sunbathing and a spot of fishing in the turquoise waters, or at night for an unforgettable romantic dinner at sea. A moment of eternity, with a bright red sunset creating the perfect backdrop. Some trips will also give you the opportunity to discover dolphins and whales living nearby, or indulge in more physical sports activities such as jet skiing or scuba diving. Despite feeling like it's at the end of the world, Denarau Island has no shortage of activities, even for its very youngest visitors who will have a fantastic time at the Big Bula Inflatable Waterpark, with its giant inflatable slides.